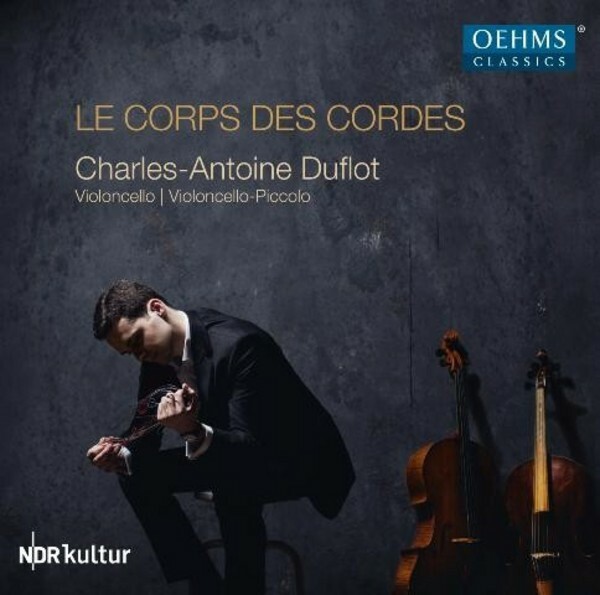 Charles-Antoine Duflot was born in 1986 in St Quentin, France and has won numerous prizes since 1999, including first prizes at the UFAM Competition in Paris, the 2009 International J&A Beare Solo Bach Competition in London, the 2010 International Beethoven Competition in Hradec-nad-Moravici and the 2011 Possehl Music Prize in L�beck. In May 2013 he won first prize at the violoncello competition 'Ton und Erkl�rung � Werkvermittlung in Musik und Wort' (Tone and Explanation � Work Mediation in Music and Words) in Hanover. This recording, made in cooperation with the Cultural Society of the German Economy in the Confederation of German Industry (BDI) and NDR Kultur, is the result of that prize.